The smart way to be safe. 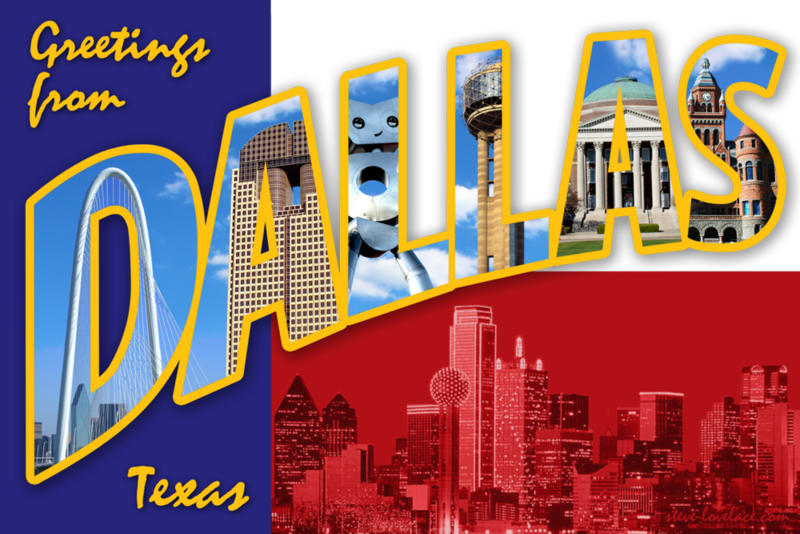 Switch Rail is pleased to announce the opening of their new corporate branch office in Dallas, Texas! 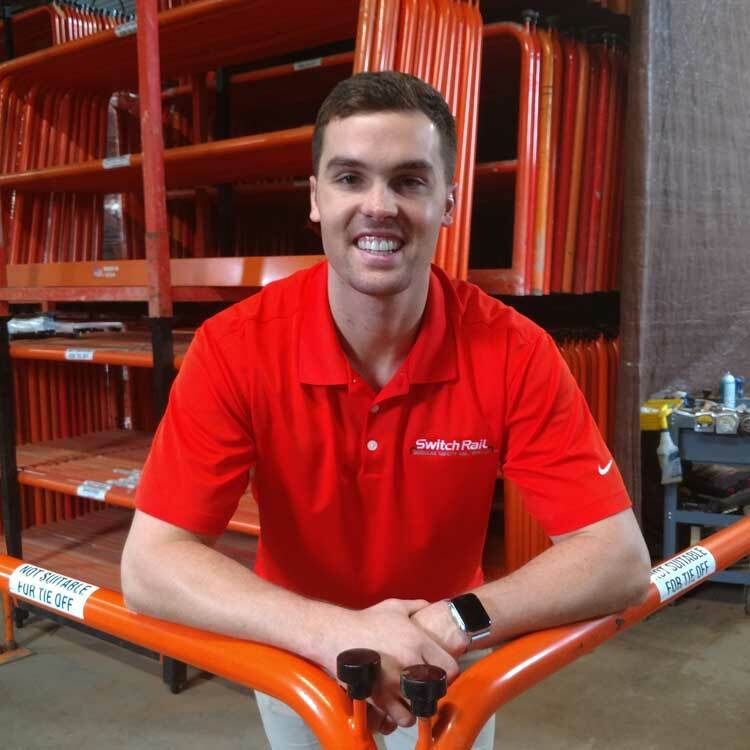 The Dallas location will be headed by Brian Goosen, a safety industry veteran in the construction industry, and will include a full warehouse facility offering JIT delivery of all Switchrail safety solutions. November often marks the beginning of the construction ‘season’ slow down. Not down south in Nashville, Tennessee, where Switchrail is now readily available with same day delivery! See some common, and some complex, problems easily overcome by using SwitchRail Safetey Rail on your projects. Whether your having issues with ‘cable and stanchion’ systems or just tired of the labor and material lost using 2x4 railing systems. No matter your need, SwitchRail has you secured! SwitchRail can specify and quote systems at any phase of your project, providing cost savings for all of your safety protection needs. When you're ready to make the switch and rent our system, SwitchRail is ready to make it happen. You manage projects, people and a full range of safety requirements that change constantly. You can’t afford to have needless accidents or add extra costs onto tight project budgets. Wouldn’t it be easier if there was a comprehensive, best-in-class answer to site safety that would take the guesswork out of all of your projects at once? THERE IS: SwitchRail Safety Systems. 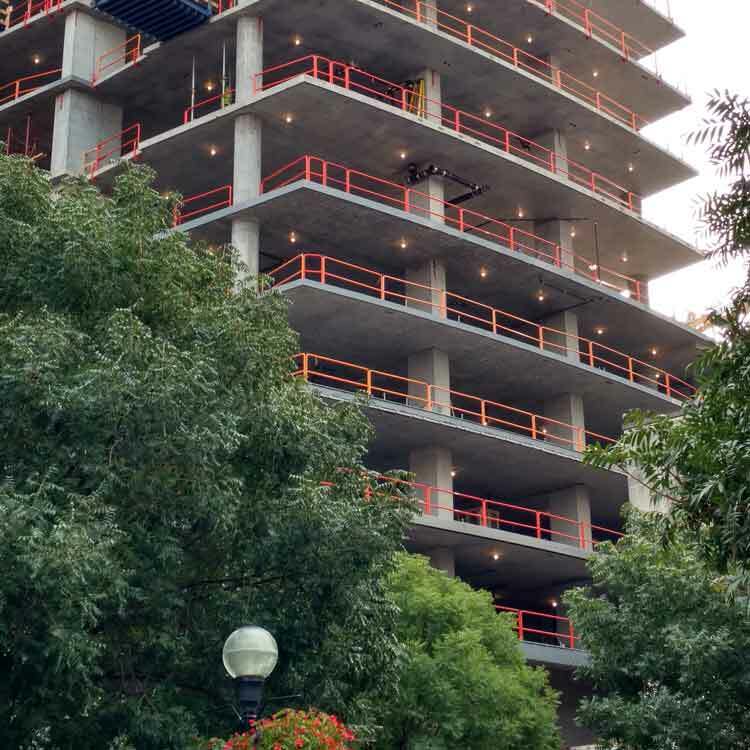 The 47-story AMLI Fountain Place Tower is the first high rise tower to be errected in Dallas in 30 years. 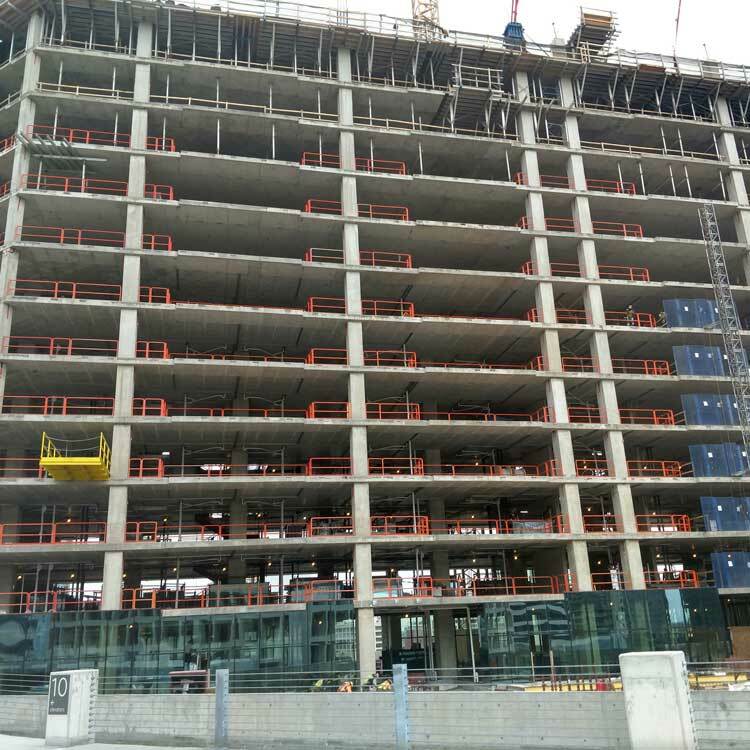 Switch Rail Safety Systems is integral tot he fall protection strategy for the new 367 unit apartment tower. The project broke ground in 2017 and is expected to be completed in 2019. 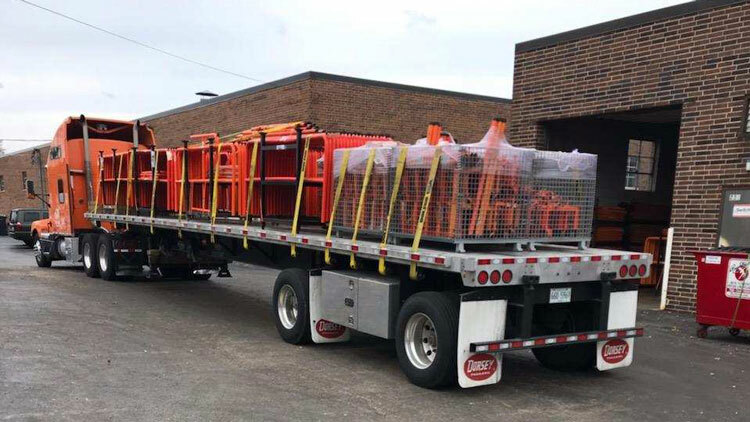 WHEN YOU SEE ORANGE, YOU KNOW IT'S SAFE.